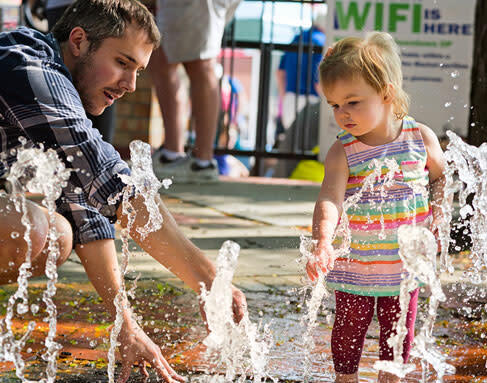 If you are looking to do as the locals do on your next venture to Overland Park, take a Saturday morning stroll through the Overland Park Farmers’ Market. Named “The Best Farmers’ Market in Kansas” by both Cooking Light and Tripping, it’s no wonder why it has become the heart of the community and one of the city’s best gathering spots for over 35 years. From seasonal and unique produce sold by local farmers, and fresh baked goods, to soaps, flowers, sausages and other hot foods, you can shop till you drop from the over 85 local vendors, but the fun doesn’t stop there. The Farmers’ Market also offers visitors live music, interactive art, cooking demonstrations, and giveaways. You will see people of all ages and interests enjoying the market together. 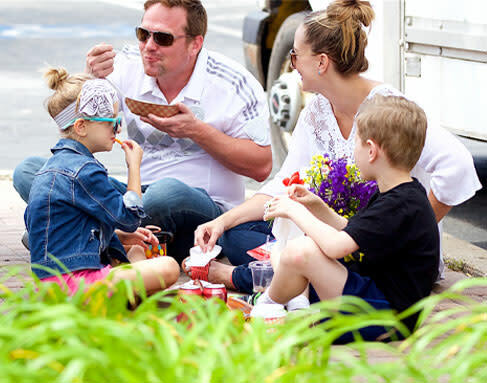 It is an easy way for families to spend time having fun and authentic experiences, while connecting with the city during your visit. You’ll do more than shop, by meeting the passionate and hard-working individuals and small business owners who make-up the lively community and learn their stories as well as the stories behind their products. You can play in the fountains nearby, hear a performance from a local band, and learn how to make new dishes together, all under one roof. All vendors accept cash, most accept credit/debit cards, and tokens are available for purchase. The 2019 Farmer’s Market is open Saturday mornings 7:00am – 1:00pm from April 20 – September 21, and from 8:00am – 12:00pm from September 28 – November 16. They are also open Wednesday mornings 7:30am – 1:00pm from May 15 – September 25.